Susy Markoe Schieffelin is an internationally known teacher, healer, and coach. She grew up on the East Coast where her "busy" life led her to face struggles with anxiety, alcoholism, and addiction. Through her own journey into recovery, she discovered the life changing benefits of sound healing, meditation, and yoga. Following her move to Los Angeles, she made it her mission to share the tools that helped her to find hope and heal. 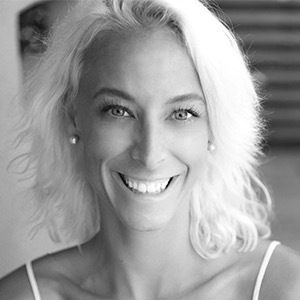 Susy earned a double degree in East Asian Studies and Religious Studies from the University of Virginia, is a certified Yoga Instructor, and a Usui/Holy Fire II Reiki Master. She has studied many forms of meditation and mindfulness including Transcendental Meditation, Vipassana Meditation, Kundalini Yoga, and the art of Sound Healing. Recently featured in German Vogue, Susy is known for her “sunshine spirit,” mindful way of living, and loving dedication to healing. Her sound baths have been described as "other worldly" and "a mind blowing experience that is a must for people new to meditation." For a long time, my life felt chaotic and overwhelming. By practicing meditation I have found a whole new perspective and am able to approach life in a joyful way that I didn't know was even possible. Meditation has allowed me to live a full yet balanced life. I can choose to respond rather than react. I feel calm, connected to my truth, peaceful, and free. I teach in order to offer a warm, welcoming, and safe space for others to relax and just be. My goal is to help others find calm amidst chaos. I believe that meditation gives us the tools to help us end the "busy-ness" and heal our anxiety and addiction plagued society. For the last three decades I have been meditating under the guidance of my own teacher. I spent many years in the beauty and TV industry working long hours but always made it a priority to have a disciplined daily practice. Meditation has been the vehicle to answer my childhood question, Who am I? I continue to practice to deepen that experience. My intent is to help others answer that question because when you solve the problem, Who am I, you solve all problems. This is my way to serve humanity.